Some think UFO lore began sometime in the 1940s with the sighting of so-called "flying saucers," but ancient Egyptians recorded sightings of mysterious unidentified objects in the sky as well! These couldn't have been experimental aircraft, as is so often the explanation for UFO accounts. 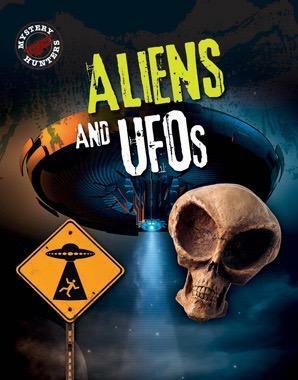 This entertaining guide to all things alien presents the facts and lore of UFO and alien sightings. The motivating text also considers the impact and influence of alien movies and space discoveries. Readers will weigh the well-balanced evidence with the aid of fun images and photographs and assess whether they are true believers.